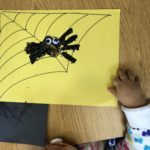 A Halloween playgroup calls for some spooky fun. Luckily it’s not too scary, but a lot of fun. 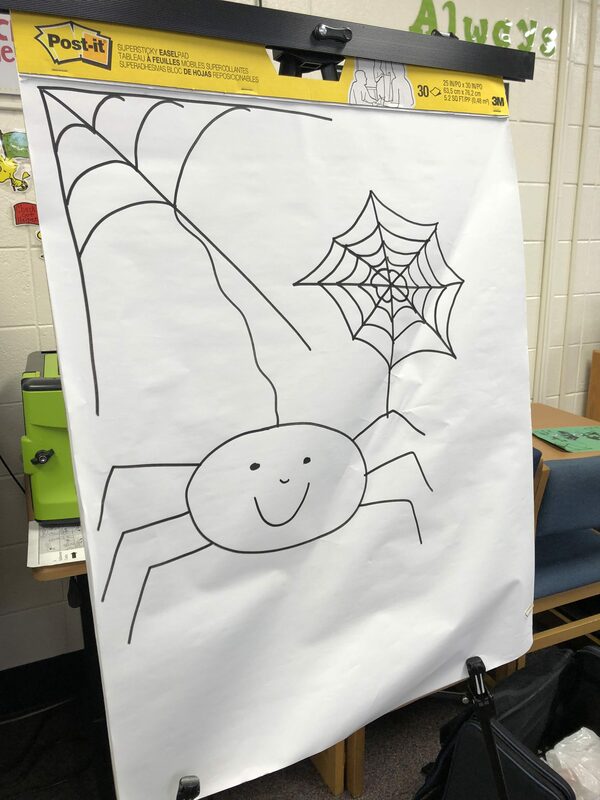 We read the book The Very Busy Spider by Eric Carl. Eric Carl’s books are some of my favorite. They add lots of color along with basic shapes for great images. This specific book was a 2nd reader book. 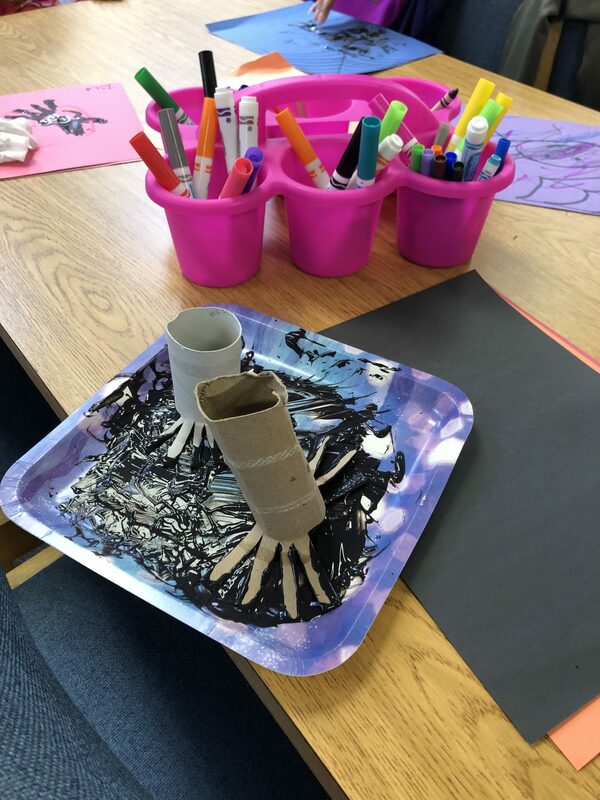 After we read we headed to the tables to make our own spider craft. 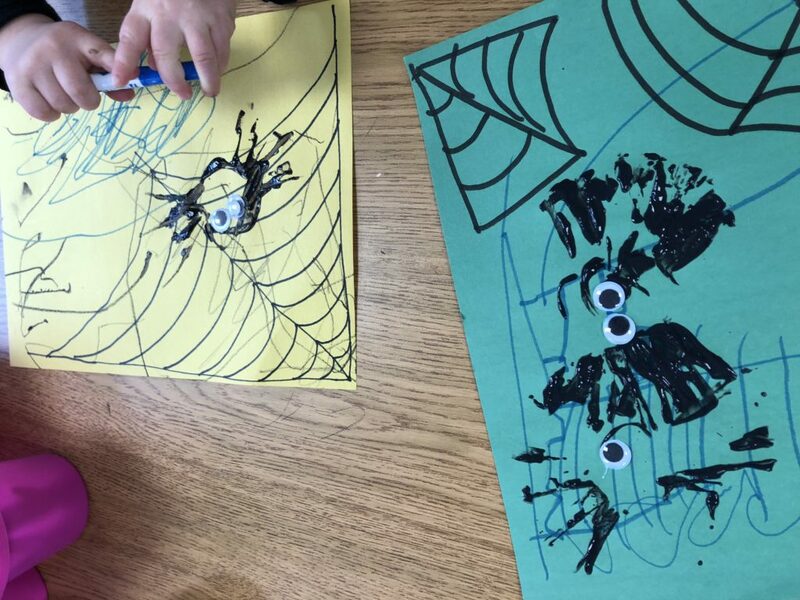 Parents had the opportunity to draw spider webs with a Sharpie. The older kids also did the spider webs. 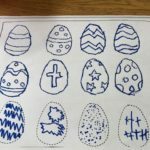 We all used the stamp spiders. Let me explain this is not a perfect spider. 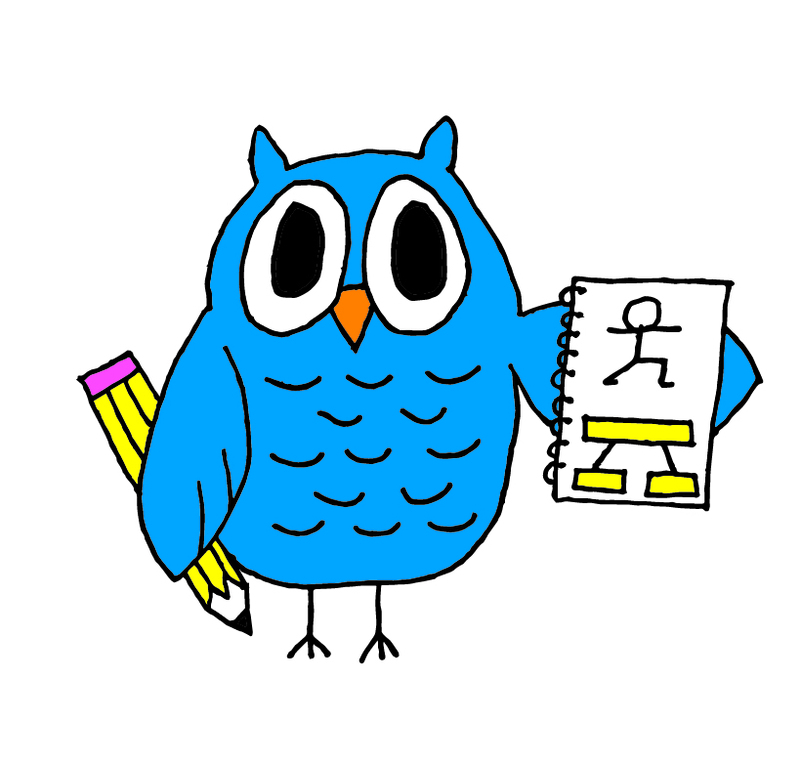 As one, I don’t believe in perfect and two were focusing on having fun and learning at the same time. I took toilet paper rolls and cut four legs in each side then cut the “body” portion in the middle. A paper plate and Crayola black washable paint and viola! I decided to give the kids googly eyes as well, because everyone loves google eyes! You can also draw a spider if you don’t want to do the paint. A simple oval, eight legs and a smile for a not so scary spider. 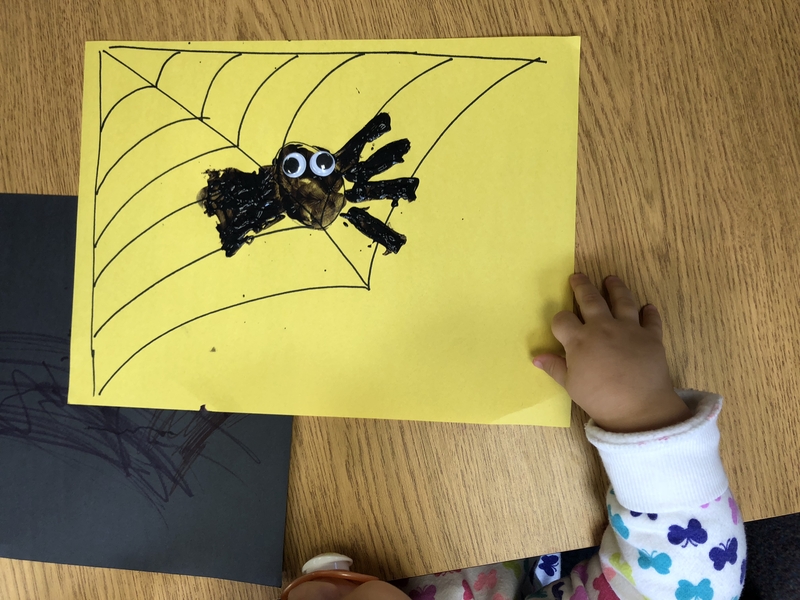 Let the kids decide what color they want or how many eyes or legs to give the spider. We want them to use their imagination. I would love to see what you create with these!